New method exploits magnetic properties of parasite byproduct to detect all strains of the disease. [dropcap style=”font-size: 60px; color: #9b9b9b;”]O[/dropcap]ver 216 million people were infected with malaria in 2016 and 445,000 individuals died from the disease, according to the World Health Organization. The key to solving this health crisis is early-stage diagnosis when malaria therapeutics are most effective. A new prototype for a portable instrument capable of early-stage malaria detection has been developed by a team of researchers at the USC Viterbi School of Engineering. The first involves taking a blood sample from a person and looking at it underneath a microscope for red blood cells that have been infected with the malaria parasite. This involves counting cells, which is manually intensive and dependent on the technician reading the blood smears. The second approach, known as the rapid diagnostic test, works in about 15 minutes. But without refrigeration, the tests can spoil like milk or eggs. “Malaria primarily impacts low-resource environments where supply chain management is difficult and access to power can be unreliable. Therefore, an effective malaria diagnostic must be independent of these,” said corresponding author Andrea Armani, holder of the Ray Irani Chair in Engineering and Materials Science. Her lab is in the USC Michelson Center for Convergent Bioscience. The portable optical diagnostics system (PODS) prototype developed by USC Viterbi engineers Armani, Samantha McBirney, Dongyu Chen and Alexis Scholtz detects a byproduct generated by all species of the malaria parasite. As such, it is a rapid screening for all malaria strains. The instrument was designed to solve the challenges limiting current systems. To minimize size, weight and power requirements without sacrificing performance, every aspect was considered. The current prototype weighs fewer than 10 pounds, is 12 by 10 inches (the size of a large shoebox) and can be powered by a battery for eight hours. In addition, the system was designed to require minimal sample processing and handling, as well as eliminate the need for secondary chemicals with strict storage requirements. This makes the device particularly suited to low-resource environments. The end result: The current prototype developed by USC researchers can analyze an unprocessed, whole blood sample in 10 to 15 minutes. With only five to seven drops of blood, it can achieve sensitivity levels needed for an early-stage diagnosis. Malaria-infected mosquitoes infect human hosts with the parasite. Its primary nutrient source is hemoglobin, a component of red blood cells. As the parasite digests hemoglobin, it creates what is known as heme as a byproduct. While heme is highly toxic to both the parasite and its host, the parasite has figured out a “loophole” around this by aggregating heme into an insoluble nanocrystal known as hemozoin. An unlike all other naturally occurring materials in the blood, hemozoin is magnetic, said McBirney, the lead author, co-inventor and recent biomedical engineering PhD graduate. Because the amount of hemozoin in the blood is directly related to how far the malaria infection has progressed, it is an ideal indicator of infection. However, detecting a few hemozoin nanoparticles in blood is extremely challenging because blood has many components that can interfere with the measurement. To overcome this problem, the researchers took inspiration from recent discoveries in personalized medicine and leveraged the magnetic behavior of the nanoparticles in their diagnostic design. Recent advances in personalized medicine for cancer have demonstrated the importance of not relying on statistical averages to establish “normal” or “healthy” benchmarks but instead using a patient’s own sample. Normally, this approach is extremely difficult to implement, as it requires obtaining samples from the patient pre-illness. However, in the diagnostic developed by USC researchers, this strategy can be applied by taking two measurements: one with the nanoparticles and one without the nanoparticles. By applying a magnet, it is possible to manipulate and move the hemozoin particles within a test tube around, or move them in and out of the laser beam. In this way, a single sample can be used to perform two measurements, and every diagnosis is personalized. If hemozoin is present, even in minute concentrations, the signals change. On average, it takes between 10 to 15 minutes for the signal to stabilize, and a larger difference between the two measurements indicates that the malaria has progressed farther. “PODS operates on a very simple design concept. If there is hemozoin, then there must be malaria,” Armani said. The challenging part was distinguishing the tiny hemozoin nanoparticles from everything else in the whole blood sample, she added. The researchers used a military design strategy, intentionally designing the device to try to use inexpensive, off-the-shelf components and not require any reagents. If a component fails, the engineers wanted to ensure that it was not necessary to seek out a custom supplier or a single source supplier. “All the parts are readily accessible and easily replaced,” said McBirney, who was driven to work on this particular problem. 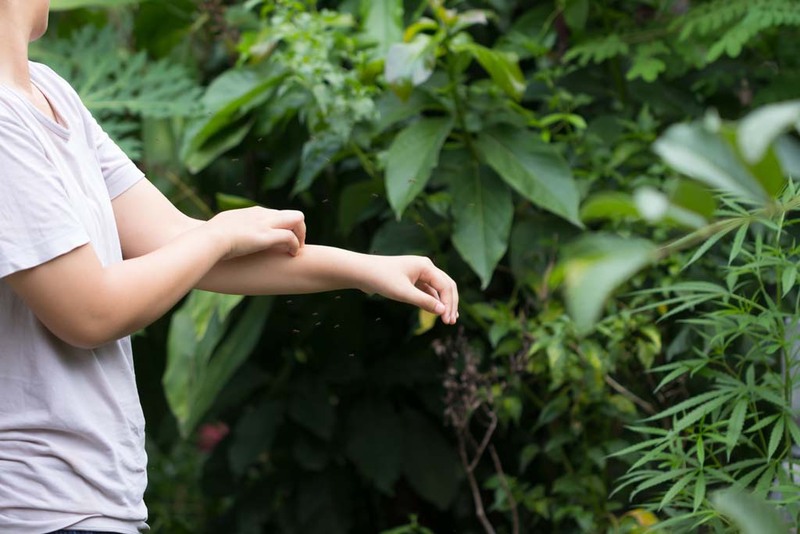 “While malaria may not be a concern for those of us living in developed countries, it’s still the leading cause of death in the world, and of the hundreds of thousands of deaths every year, nearly 70 percent of those are children under 5 years old. These aren’t deaths occurring in the last five years of life, when someone has already lived out their hopes and dreams, when someone already has a family and has lived their life to the fullest — these are deaths occurring before a child even knows their place in this world, before they even know why they are here. The researchers are now working on the next generation of the device to improve its ruggedness and further reduce the sample volume to just one or two drops of blood. They expect to eliminate the attached laptop so the device could operate for over 30 hours with an external battery pack or be hand-powered.